I’d like to share some SEO tips & hints about using content managed websites, especially those with a blog, to rank well in Google’s search results. I’m going to cover general SEO tips and techniques which should be relevant to almost any website though you may find that you need to make some alterations to your websites theme to get the best out of them. All websites built by Clockwork Moggy come optimised and shouldn’t need to be edited. Throughout this blog post I use the term article. An article could be a blog post, your home page, a product or any other kind of page on your website. Search Engine optimisation or SEO comes in two forms. Onsite SEO and Offsite SEO. As the name suggests one is done within the website and the other is done outside of your website through for example Social Media. SEO works best when you combine both onsite and offsite SEO but for the purpose of this article we’re going to focus on onsite methods. I will be adding a second SEO tips blog to cover offsite methods a little later on. In a nutshell we’re going to decided on a subject that we want to be found for then find out what our target audience are actually searching for, once we’ve done that we build an article dedicated to that search term and publish it as a post or page on our wesbsite. The first step is to decide what you want to write about. This should be relevant to your business and your target audience, theres little point in talking about trout fishing if your trying to market bathroom fittings. Once you’ve decided on a subject you need to find some appropriate keywords related to that subject. The easiest way to do this is to head over to google and start typing in the subject of your article. Google immediately suggests a list of popular searches, these can be considered keywords take a note of these as your going to want to work them into your article and it’s title. A slightly more advanced tool for keyword research is Googles Keyword Planner, which is part of Adwords. 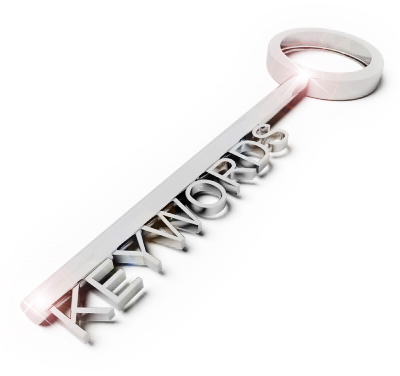 Keyword planner is designed to help you create an adword campaign but can be used to reveal the frequency that certain terms are searched for and the amount of competition (other people using that term). As well as frequency of searches keyword planner also offers us the ability to target a zone in on a specific area of the world, like for example England, Kent and find out how often on average a term is searched for there. It also offers us alternative keywords which may be relevant to your initial keywords and shows us the frequency. When researching keywords in keyword planner we want to find a term with medium to low competition and relatively high avg. monthly searches. Now that we’ve collated all our keywords we need to know what to do with them. We need firstly to consider the page title, that’s the name which appears on the tab at the top of your web browser, and it’s the first thing Google looks at. In the same vein we also need to look at headings used through the article. Headings are numbered 1-6 and are used in order of importance. You should use a “Heading 1” for your page title and lower numbers for all subsequent Headings ( see Structure of site below for more details. Don’t just fill the page with Headings though, the more headings you have the less important google considers each one. Using your researched keywords in the body of the article is also important as well as considering the name of the images used through the article and their “alt” text. You should use keyword rich links throughout the article not phrases like “click here”. This is also true for Tags used for the article. Don’t over use tags keep them relevant and try to reuse them on other articles when appropriate. But unlike links inside the main body of your article you do have the opportunity to include common misspellings. As well as making the page appealing to Google you should also make it relevant to your target audience. Try to work keywords in naturally. If an article is badly written no one will read it even if it is in the first position of Google. You should never oversaturate your article with empty keywords, but try to predict what visitors looking for your content might be searching for. A good exercise is to imagine your reading your article out to someone. Does it make sense or do you need more explanations? Site and page structure is important, we want visitors to be able to find their way to the content that they are looking for as quickly and as easily as possible. Imagine someone looking for an answer to a question you have covered in one of your articles. First they need to find the right article then they need to focus in on the right paragraph of that article. So clear navigation is important. Navigation includes menus, categories tags and general article structure. Menus should be logical. Think about the way that people surf a website. If they landed on your home page they’ll want to find out quickly what the site is for. Next up they might want to know a little more about you and your business. If they like what they read they’ll move onto your services or products and then either make contact or a purchase. Categories and tags relate to blogs. They are pretty similar but you should understand the differences between the two. Let cover categories first. Clicking on a category will take a visitor to a page which lists all the articles added to that category. Categories can be hierarchal, meaning you can have categories within categories. In some cases you may decided to add more than one category to an article which is fine but we advise you add no more than 2 or 3. Tags work in a very similar way. Like categories visitors clicking on a tag will find themselves on a list page made up of all articles with that tag. Generally tags are used to describe your article in more detail. Tags cannot be hierarchal but are a good way to link two articles which would otherwise have no connection. An example of tags on a movie review website might be to tag the actors in the movies you mentioned. 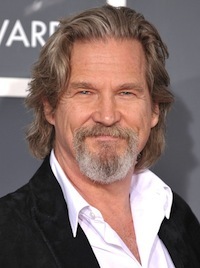 So in the article “Best Comedy movies of All time” you might have mentioned “The Big Lebowski” so you could create a Tag for “Jeff Bridges” which would link through to all the other articles where you’ve mentioned any of his movies regardless of genre. Tags a great way to keep visitors on your website for longer but also help them find further information about any given subject. We advise you use no more than around 15 tags per article. Once we’ve have our visitors on the right page we need to make sure they can find the piece of the article. When planning an article a bullet point list is a good starting point. Break your post down into a few main key points then break those points down into further points beneath that. Now flesh out the bullet points and turn them into headings. Remember to use the headings in order as mentioned in the “Use of Keywords” section. Each main point should be a Heading 2, each point directly under that a heading 3 and so on. We only want one H1 per article and that should be used in the page/article title. If you have a really long article you could also add the list to the top of the article as a table of contents when your done so visitors know what to expect and returning visitors can go straight to the part of the post that interested them. Other cool SEO tips and tricks which can help site structure, especially for really big sites, would be creating a HTML sitemap. HTML sitemaps are essentially a page of links to all the other pages in your site which can help people see how the pages are connected. Adding breadcrumb links to the top of your sites blog pages can also help. Google will see www.example.com and example.com as different sites. It doesn’t matter if you choose to use www. or not but you need to keep all links to your site consistent especially when linking to your site from an external location (IE Facebook). As I mentioned earlier I’ve decided to write a follow up article about offsite SEO tips where I can go into external links with a little more detail, so keep your eyes pealed for that one coming soon. Make your URLs logical and easy to read. Most sites allow you to do this from the admin area or dashboard. 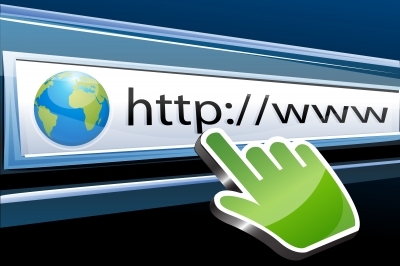 URLs like http://www.example.com/?p=123 and http://www.example.com/index.php?option=com_name&view=1234&id=1234&Itemid=1234 should be replaced with Search Engine Friendly (SEF) URLs easily read by humans and Google alike. They look more like this http://www.example.com/category-name/article-title. For best practice you should also remove “Stop” words. ‘Stop’ words, are words that Google will make low priority in a search, often ignoring them entirely. For example ‘the’ ‘is’ ‘a’ ‘and’ etc. The two main reasons for this is URLs have a max length, and Google’s search algorithm works (in part) on percentages. So removing irrelevant words from your urls will take the overall percentage up. IE the url http://www.example.com/one-two would get a 50% match for the search term “two” the url http://www.example.com/and-one-and-two would only get a 25% match for the same search term. The fewer words in your URL the greater the importance of each word. The speed of your site is important to Google. Slow to load sites will rank lower than faster sites. Images throughout your site are often the main culprit when it comes to slow loading speeds. Images should not be larger than they need to be. As a general rule of thumb website are between 960 pixels & 1200 pixels wide so images won’t often need to be larger than that. To put that into perspective the Iphone 5 takes 8 megapixel photos which is 3,264 x 2,448 pixels. Before uploading them into your website we would suggest reducing them in scale to a maximum of 1000 x 750 pixels. Sites using the most up to date programming languages like HTML5 & Css3 will rank above sites which use older coding. It’s also become important to have Mobile ready responsive websites. That means that the site’s design collapses and expands to fit different screen sizes from Mobile phone through tablet and laptop all the way up to large desktop devices. Overall it’s important to keep your websites laid out logically and keep it as easy to read as possible. If is difficult to find specific information on your site you probably need to work on it a little and for the most part if it’s easy for a human to find your content Google will be happy too.